In researching for an article about our upcoming tour to St. Bernardus my wife was surprised to learn that although Westvleteren is now using Westmalle’s yeast, St. Bernardus is apparently still brewing the original Westvleteren recipe with Westvleteren yeast… So she came to think that if she’s lovin’ a Westy, is it really a Westy? or is St Bernardus the real Westy? Confusing, for sure. So all we could do was pull out a bottle of each of them…which was conveniently located in our Coke Machine, and do a blind tasting. Life is rough sometimes, but we were willing to make the sacrifice in order to provide you, our readers and beer voyagers, with enlightenment. Located in Watou, in Western Flanders in the heartland of hops, is brewery St Bernardus. The land on which this brewery was built was originally owned by Trappist monks from the Mont de Cats Abbey in France, who had left France for safer ground in Belgium during an anti-clerical movement. Here, on a farm they called “Refuge de Notre Dame de St. Bernard”, they produced cheese in order to sustain themselves. When things improved in France and the French monks left Belgium to go back home, the cheese production was continued by Mr. Evariste Deconinck, who gave the cheese the name St. Bernardus. Shortly after the Second World War, the nearby Trappist Monastery of St. Sixtus decided they did not want to brew commercially anymore, so they engaged in an agreement with Mr. Deconinck to brew their beers. Initially, before the brewery building was completed, Mr. Deconinck made the cheese in the morning and used the same equipment to make beer in the afternoon! 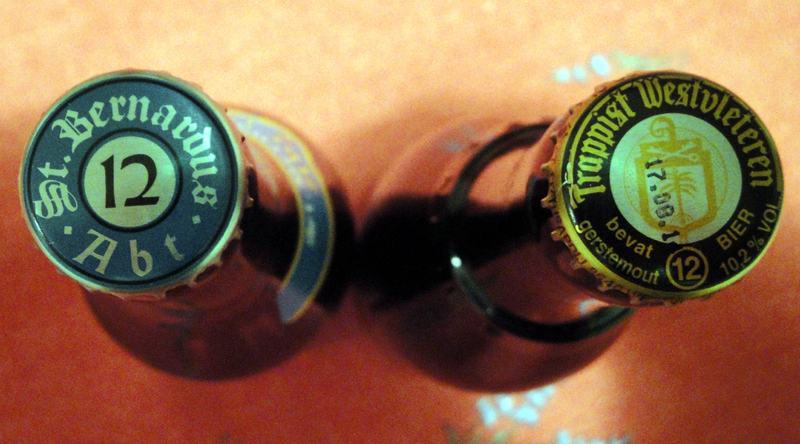 The agreement between Deconinck and St. Sixtus was that the monks from St. Sixtus would brew beer inside the walls of their Trappist Monastery for their own consumption, for sales to the public at the gates of the Monastery and also for a few taverns whom were connected to the Monastery, while Mr. Deconinck of St. Bernardus would brew the St. Sixtus beer for commercial production. This agreement was set for a period of 30 years. The beers were brewed at St. Bernardus with the help and original recipes of the master brewer of Westvleteren. As they say, all good things must come to an end, and although the agreement was renewed over the years, it ended in 1992, when St. Sixtus decided not to renew. This was because by that time, the Trappist Monasteries decided that the qualification ‘Trappistenbier’ could only be given to beers brewed inside the walls of a Trappist Monastery. At this point, the beers brewed at St. Bernardus began production under the name St Bernardus instead of the brand name St. Sixtus. They also at that time added St Bernardus Tripel, to the existing Pater 6, Prior 8 & Abt 12, (which, incidentally, were all created by the brewmaster from Westvleteren based on the Westvleteren recipes). Westvleteren 12: Pours a cloudy deep dark reddish brown with a few chunks floating in the glass. It had a one finger tan head and left a nice thin lace on the glass. St Bernardus Abt 12: Pours a hazy dark reddish brown with a 1 finger creamy tan head and left a nice lacing on the glass. 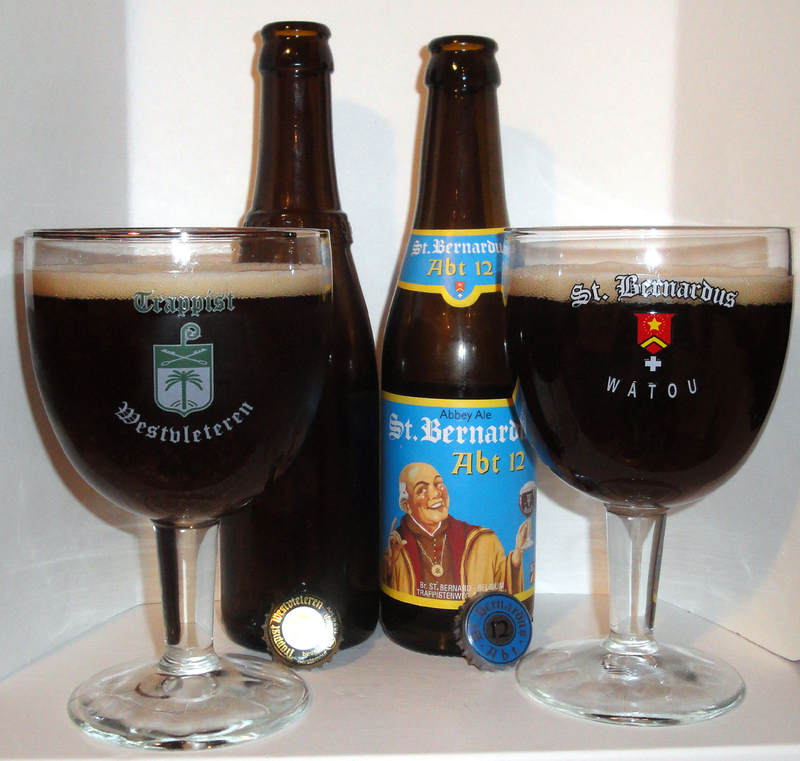 AppearanceWinner: Almost identical in appearance, but the edge goes to St. Bernardus. Westvleteren 12: The nose was initially muted and was sweet with hints of dried fruit (raisins/plums). As this beer warmed up to about 55°F boy did it come alive with aroma! The dark fruits intensified and I also picked up cheery, figs, caramel, licorice, chocolate and the alcohol poked through sherry like. St Bernardus Abt 12: There was a rich malty sweetness with notes of caramel, dried dark fruits like raisins, figs and prunes as well as a hint of the alcohol. Aroma Winner: Initially at the 45°F pour, St. Bernardus had the advantage, but as it warmed up it was Westvleteren by a “nose” at the finish line. Westvleteren 12: The taste is very similar and as complex as the nose was, especially as it warmed to 55°F. There were notes of caramel, dried raisins, prunes, figs, vanilla, sweet (but not too sweet) candy sugar, some licorice, a hint of cherries and a mild spiciness. St Bernardus Abt 12: Starts off somewhat semi sweet with malt and caramel and peppery spice, then I picked up fruits like raisins, plums, dried cherries, figs, prunes and maybe a bit of toffee too. Flavor Winner: Similar in the flavor profile but not the same. Like the Aroma, St. Bernardus lead at the beginning, but as it warmed up I enjoyed the Westvleteren more. Westvleteren 12: The mouthfeel is of medium creamy feel with a nice pleasant warmth from the 10.2% abv. St Bernardus Abt 12: Medium-light to medium creamy body with a moderate and prickly carbonation level. A nice pleasant warmth from the alcohol. Mouthfeel Winner: This is where the beers had their biggest difference. I was distracted by the prickly carbonation level of St. Bernardus, so the winner here is Westvleteren. Westvleteren 12: This was a very drinkable brew and I’m tempted to open another. 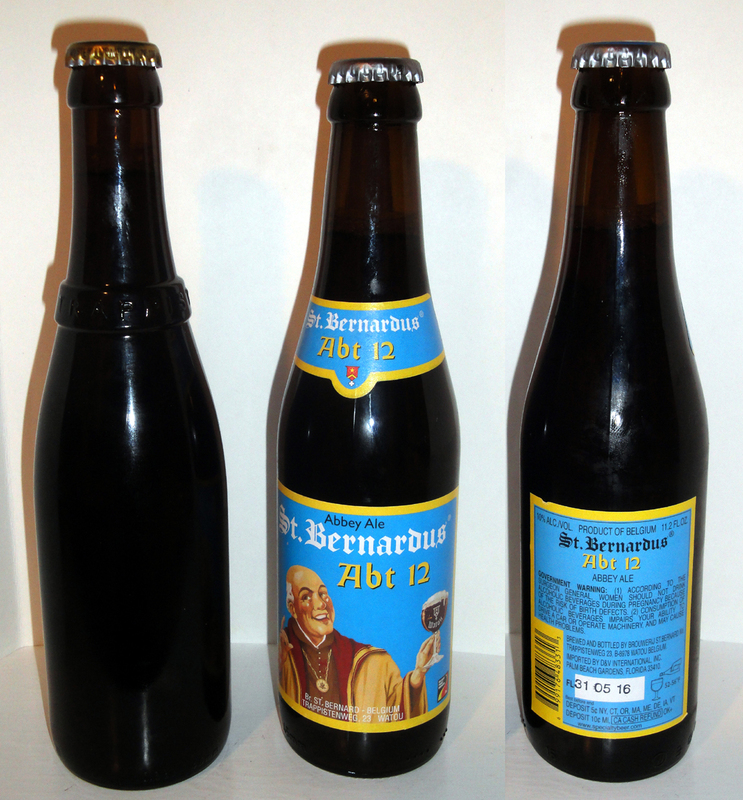 St Bernardus Abt 12: This was a very drinkable brew, especially given the 10% abv. Drinkability Winner: A virtual Tie, but I’ll give it to St Bernardus., for the ease of purchase. Overall Winner: Westvleteren by a nose! But what we think and taste will be different than your opinion. And if you love one of these more than the other, or love them both equally, does it matter if you really know all the gory details behind it as long as you enjoy it? We can tell you this much… they are all good. And they are all even better when enjoyed at the source…while on Beercation! If you join us on our “Grand Crus to Farmhouse Brews- A Beercation Cruise through Belgium & France” October 27 to November 3, 2012 you will have a chance to try both of these brews fresh at the “source” when we visit Brouwerij St. Bernardus and café In de Vrede at Brouwerij Westvleteren. A very good comparative description by one of the best in the business.